Lightly mash 1/4 cup of boiled Surti papdi Lilva beans. In a bowl, mix Potatoes, Onion, mashed Lilva beans, remaining Lilva beans, Carrot, Lemon juice, Cilantro, Salt & all the powders. Make round/oval patties. 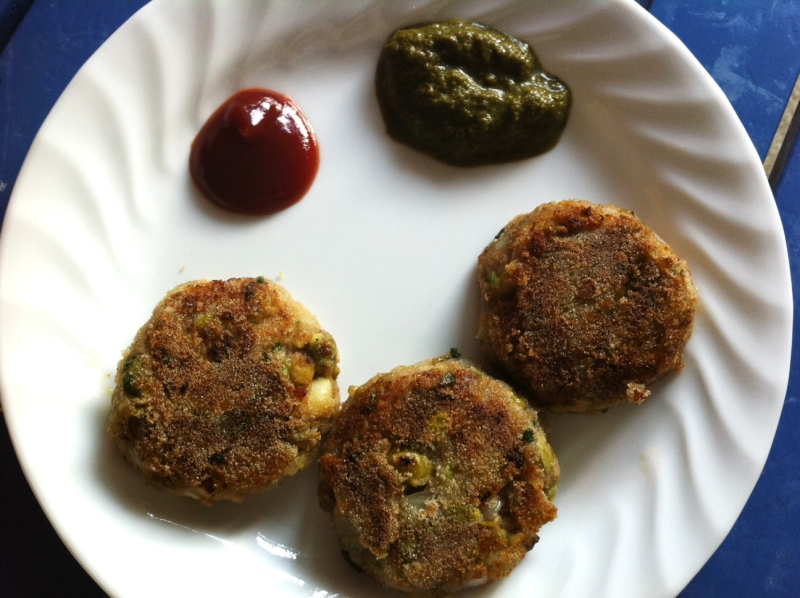 Dip in Semolina & deep fry or shallow fry the patties. Serve hot with ketchup & Green chutney. please tell me what is surti papdi lilva beans&were will i get it? What is Surti Papdi Lilva beans?